Dreams of Organic Farming – Facts and Myths | EISA e.V. 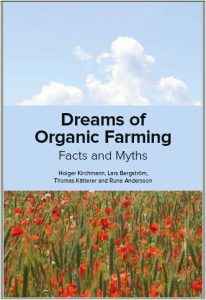 Our book is intended to bring to the wider public a basic understanding of organic farming, in Sweden and more generally. While our research naturally has a local focus, we find the effects this type of agriculture has on food supply and the environment apply to the wider world from Europe and beyond.